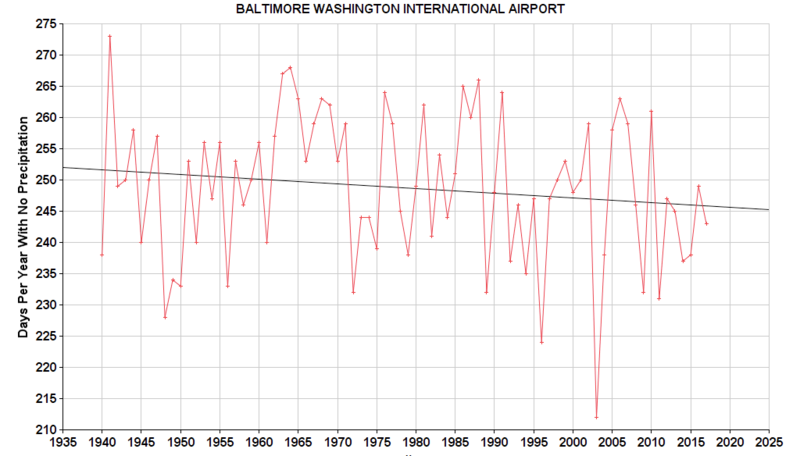 Previously I wrote about the Variation In Precipitation At Washington Reagan National Airport (DCA) 1945-2018 to see if there was a significant change over the years due to Climate Change, and now it’s time to look at BWI Airport. 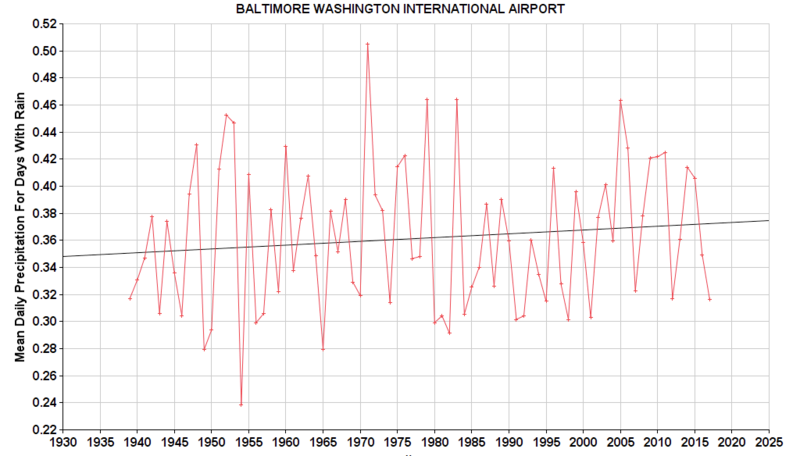 The BWI dataset starts earlier than tat for DCA, and runs from July 1, 1937 to July 18, 2018. As with the DCA data, there appear to be a few days with missing data, as for some years there is only data for 364 days. The actual number of days per year of data was taken into account when computing means. Also, some data is not plotted for 1945 or 2018, namely the number of days with/without rain for those years, as a full year of data is not available. 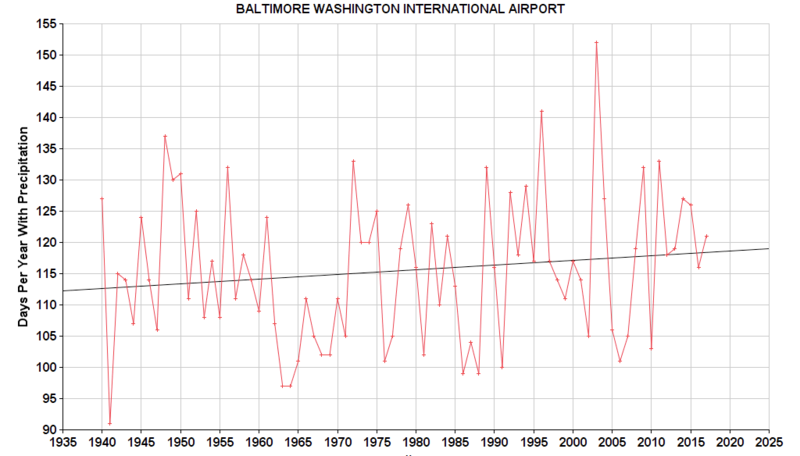 The first graph is the average daily precipitation. This is total amount of rain per year divided by the number of days. 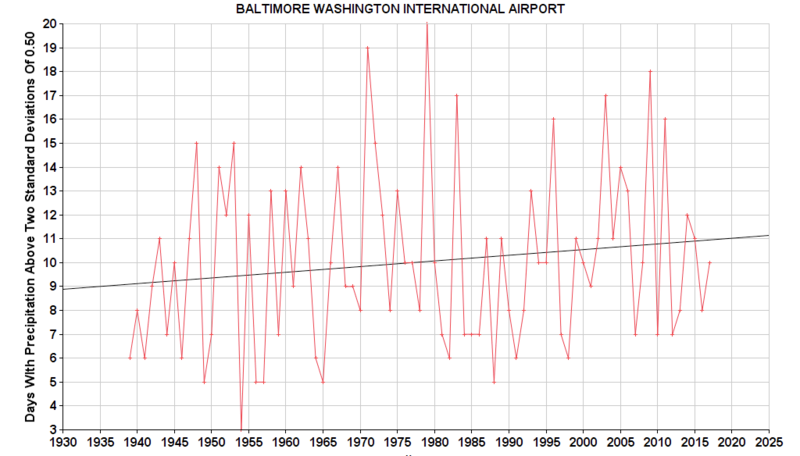 It shows an increase from roughly 0.108 to 0.121 inches per day from 1939 to 2018. That’s an increase of about 12%. 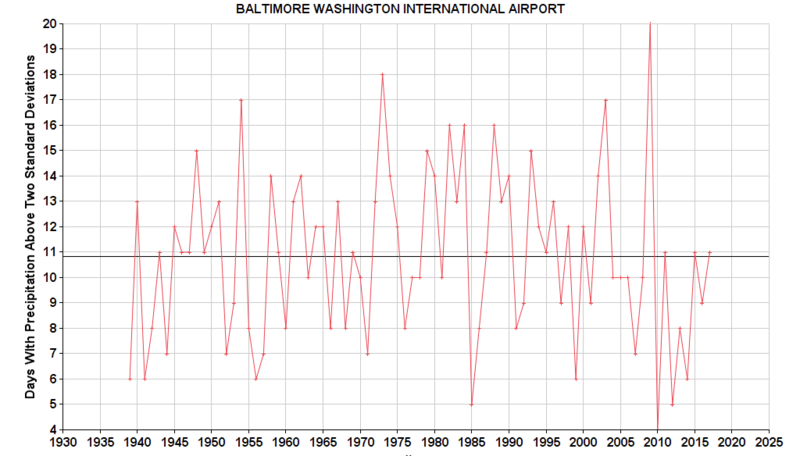 Next, we can look at the standard deviation in rainfall amounts on days when it rains, standard deviation is amount of variation of a set of data values around the mean (average). My previous post has a link for more information about standard deviation, as well as the best standard deviation joke for math nerds. 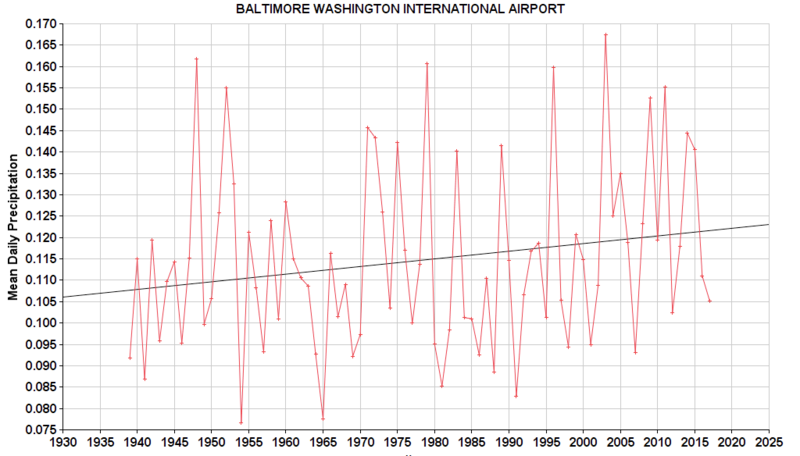 The standard deviation in rainfall amounts at BWI is increasing. Looking at the graph, the increase seems to be mostly due to an increase during the 2005-2015 period, which has since ended. 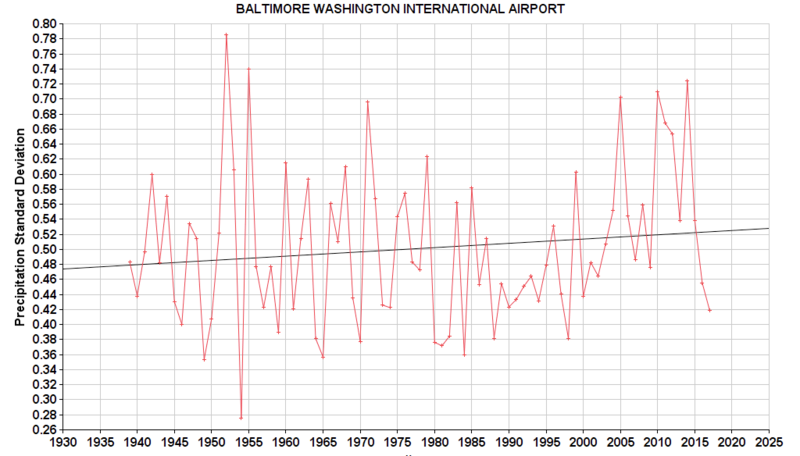 Is it a short term variation due to random processes, or part of a long term shift?